Bharti Airtel country’s largest mobile operator started to offer more to the customers in Kolkata and West Bengal telecom circle. Airtel which is offering GSM services over all circles of India is facing intense competition from new players of industry. Airtel to continue its excellent service portfolio has to offer more against the aggressive pricing from competitors. Airtel now offers extra free talktime to the main account while you recharge with the following Special Tariff Vouchers. These STVs are available only on electronic recharges. Airtel’s all India @50p/min STV 32 will pump your account Rs 26 talkvalue, Airtel already launched Per Second Billing. Now with STV 38 you will get Rs 31.45 talk-value to your prepaid account which can be used for anything without any hidden clause. 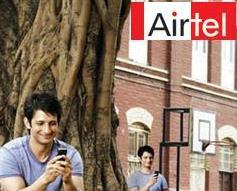 For Assistance Call Airtel Customer Care 121 (50p/3min) or Visit nearest Airtel Relationship Center. when airtel local calls 10p per monthly topup 89/month…..becase other network s offered… we r waiting that schame or than better!